Fake anti-Trump Washington Post papers distributed in D.C. 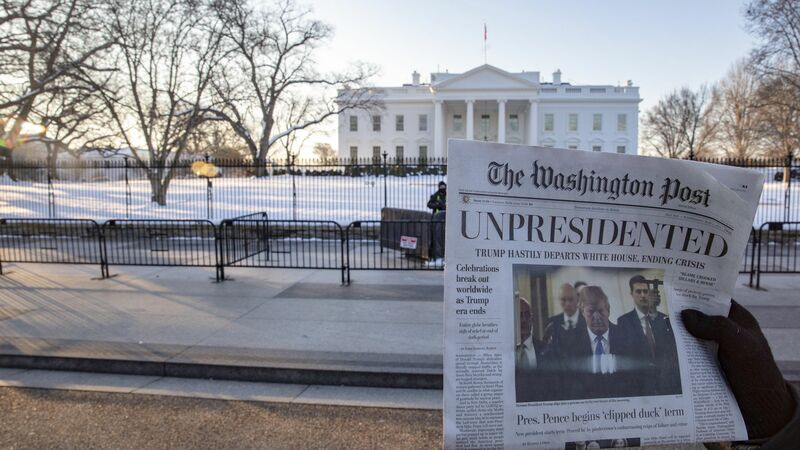 Fake Washington Post papers filled with anti-Trump stories were distributed around D.C. on Wednesday morning, the real Washington Post reports. Details: The fake paper, which was supplemented with a live online edition, led with a front page story reporting that President Trump has left office. Per the Post, a video was posted by liberal activist group Code Pink of its founder Medea Benjamin passing out papers and saying, "The crisis is over — Trump has left the White House." Liberal advocacy group MoveOn was suspected to possibly be behind the fake papers, but the organization tweeted: "While we love the headline, we didn't produce today's satirical Washington Post."